Sad news for Kimpton hotel fans. There won’t be a Kimpton Las Vegas connection…yet. Shortly after being purchased by Intercontinental Hotel Group (IHG), Kimpton sent out an email that their loyalty program would remain separate from IHG for the time being. We’ll continue to offer the same great perks and benefits through our Kimpton Karma Rewards program across our 62 Kimpton hotels and any reward nights you’ve racked up stay perfectly intact. For the time being, the Kimpton Karma Rewards program and IHG Rewards Club will continue to run as separate loyalty programs. 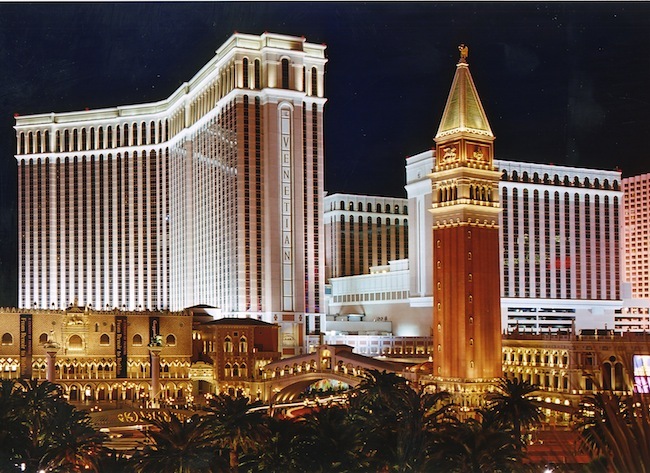 IHG has almost 5,000 hotels around the world including The Venetian and The Palazzo in Las Vegas (you can see the full list here). Neither hotel fits the Kimpton boutique hotel model but that’s okay in the world of reward travel. Any way to use work travel rewards in Vegas is good. Expect the loyalty clubs to merge some time next year. My one visit to a Kimpton hotel left me somewhat breathless. I loved it. The staff was fantastic and the hotel was great. I was so moved that I made a blog just for the few days I was at Hotel Monaco in Chicago. Enjoy. If you’re a Marriott customer and looking to visit to the Vegas Strip you might want to make your reservations for a visit soon. When Cosmopolitan was sold to Blackstone people with common sense assumed that the new Cosmo would be moving away from some of their current partnerships. Well, that’s the case with their hotel partner. Say goodbye to a Marriott hotel partner on the Vegas Strip. Since Blackstone owns Hilton, La Quinta, Wyndham and the brands beneath them, like Waldorf Astoria, the common thought was that they’d link the Cosmo with one of their existing hotel businesses. #Synergy. …they will merge one of their hotel investment affinity programs into the Cosmopolitan to reward frequent players and guests. Changing hotel partners won’t guarantee that kind of gaming revenue increase. Even though Hilton hasn’t been named the hotel partner yet the change would be logical as Hilton and Marriott mirror each other. 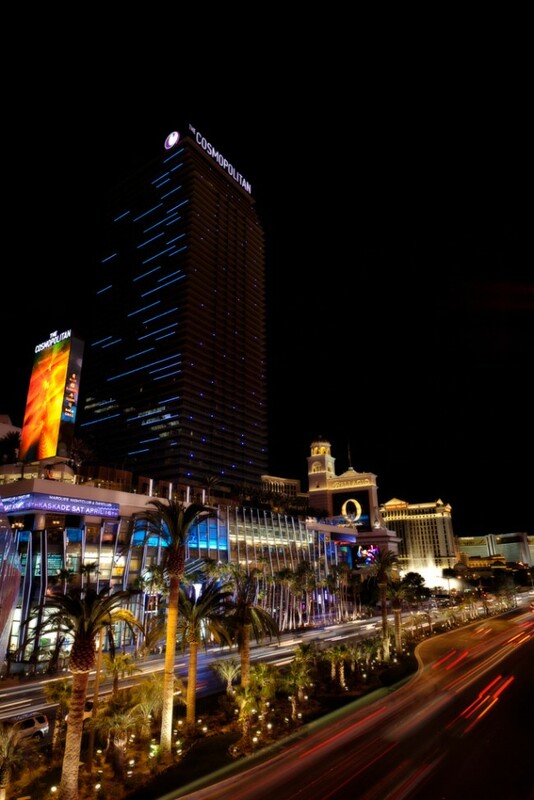 The Cosmo has some of the highest room rates in Vegas and are often over 95% capacity. The change in hotel partners won’t help hotel revenue much, if any. Are Hilton customers more likely to gamble? We’ll see. Going full circle, this changeover won’t happen overnight but if you want to use your Marriott Rewards on a free stay at the Cosmo you should book and stay soon. My friends and I stayed at Planet Hollywood on one of my first trips to Las Vegas mostly for one reason. At the time Planet Hollywood was a Starwood Property. Not only could some of us use Starwood points and status from work travel, but the lesser travelers could earn points towards free hotels anywhere in the country. Vegas may be the greatest travel destination in the world, but it’s not the only place to visit. Having a partnership with a national hotel chain is a nice perk for travelers even if people in this town (like me) don’t believe it there are people that want to travel places besides Las Vegas. Planet Hollywood is now a Caesars Total Rewards property. While that’s not as cool for the world-wide traveler at least they offer discounts to locations outside of Las Vegas. Tropicana is the latest casino to jump on board the national hotel program. …Hilton HHonors members will both be able to use and earn points with stays at the Trop. While partnering with a national hotel chain isn’t an exciting marketing move it’s a nice perk for the traveler. Tropicana may not be the most exciting place but it’s not embarrassing property at all and is not the worst way to introduce new visitors to Las Vegas. If I wasn’t so familiar with Vegas and have so much “equity” in Total Rewards properties I think this might attract me to staying at Tropicana at least once to see what it’s like. Yesterday Venetian and Palazzo announced that they signed a 10 year partnership with InterContinental Hotel Group (Crowne Plaza, Holiday Inn, etc.) to partner their Priority Club members. This gives IHC a foot into Las Vegas where they previously didn’t have a property and gives Sands corp (Venetian and Palazzo) access to a new database of potential visitors. Guests at the Venetian and the Palazzo will be able to earn points and redeem them for stays at any of IHG’s 4,500 hotels worldwide, while IHG’s Priority Club Rewards and Ambassador members will be able to use their own points for stays at both resorts. I would never have found Planet Hollywood years ago if they weren’t a Starwood Hotel. My friends and I use Starwood often. Now that I’ve found Kimpton, I’d love for them to have a property in Las Vegas but I doubt that will happen as they’re more boutique focused. As it relates to Venetian and Palazzo, this probably means that more families will visit the hotels. This locks that I won’t be returning to Venetian as it’s already packed with too many families. I’m curious to see how Palazzo handles any overflow that may occur. This continues the copycat marketing in Las Vegas as Cosmopolitan previously signed a partnership with Marriot to access their customers. As the ducks line up we’ll probably see Harrah’s expand their relationship with Starwood. Who will MGM Resorts International partner with next? They’re next in line.